The trailer for the upcoming “Boy Meets World” spinoff recently came out, and now there is talk that another TGIF series could follow in its footsteps. 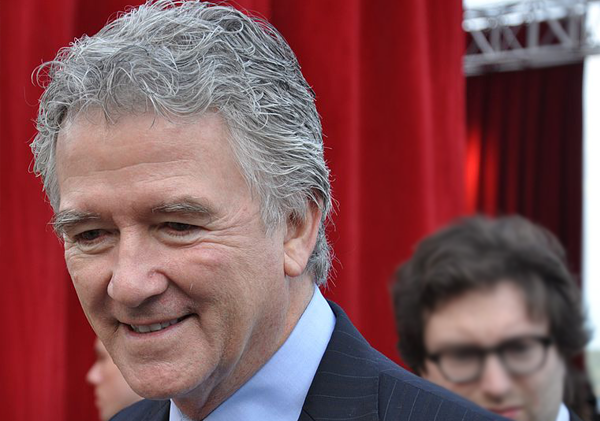 From 1991 to 1998, Patrick Duffy starred alongside Suzanne Somers in the hit ABC series “Step by Step,” playing Frank Lambert, a single dad of three who married Carol (Somers), also a parent of three, creating a blended “Brady Bunch” style family. In a recent “Ask Me Anything” session on Reddit, Duffy spoke about his current relationships with his fellow cast members, as well as the possibility of reuniting on screen. He revealed he is still in contact with many of his former “Step By Step” co-stars, including Somers and Christine Lakin (Al Lambert), and there has been discussions about the possibility of a reunion. Duffy also spoke of one of the show’s mysteries. Early on in the series, Josh Byrne played Brendon, who appeared on the show until he mysteriously disappeared without any explanation. “We all were a very close and loving family off-camera, and if the idea and the script was correct, I’m sure we would be more than happy to resurrect the Lambert family,” Duffy said of the possibilities of returning to television. And although he isn’t in touch with everyone, he did confirm that he and Somers have already talked about it. So far, no one else appears to have commented. “Step By Step” is currently airing reruns on The Hub. Meanwhile, the “Boy Meets World” spinoff, “Boy Meets Girl,” is set to premiere on the Disney Channel this summer.